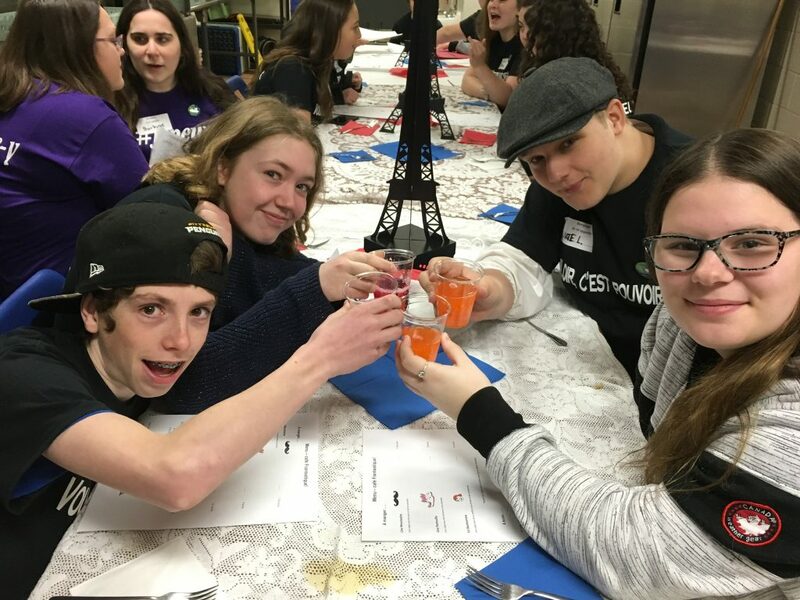 FERGUS, Ontario – Students from eight different Upper Grand schools spent the day celebrating French culture and language at the board’s Franconnexion event. Franconnexion is a full-day cultural celebration for intermediate and senior age students. Its aim is to promote the use of French outside the classroom through intercultural awareness, interactive activities and collaboration. On Wednesday, 185 students from grade 7, 8, and 9 Core French and French Immersion classes participated in a round robin of events at the Fergus Sportsplex. 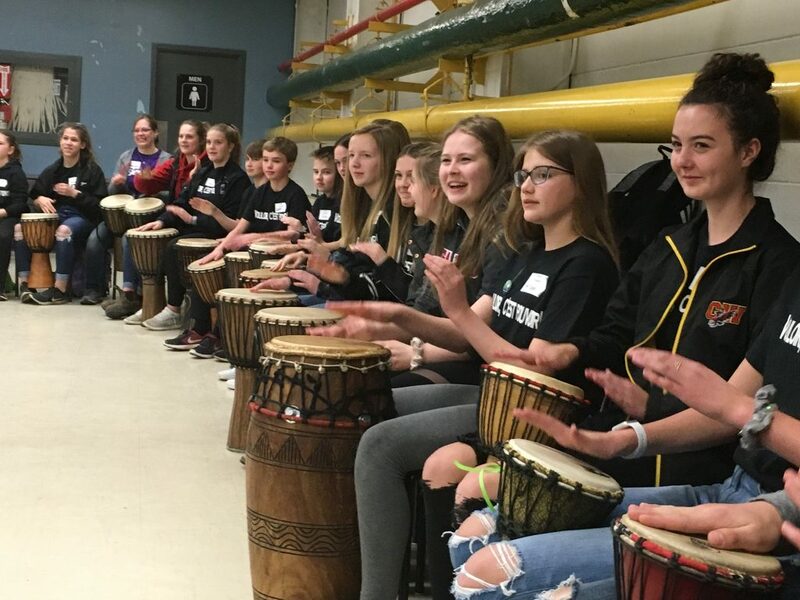 Events included an opening sing-along with singer Mike Ford followed by a song writing workshop, African drumming with performer Fana Soro, a mini creperie, and interactive games. A group of 40 grade 11 and 12 students led activities, including a student panel, speaking about their personal language learning journeys. 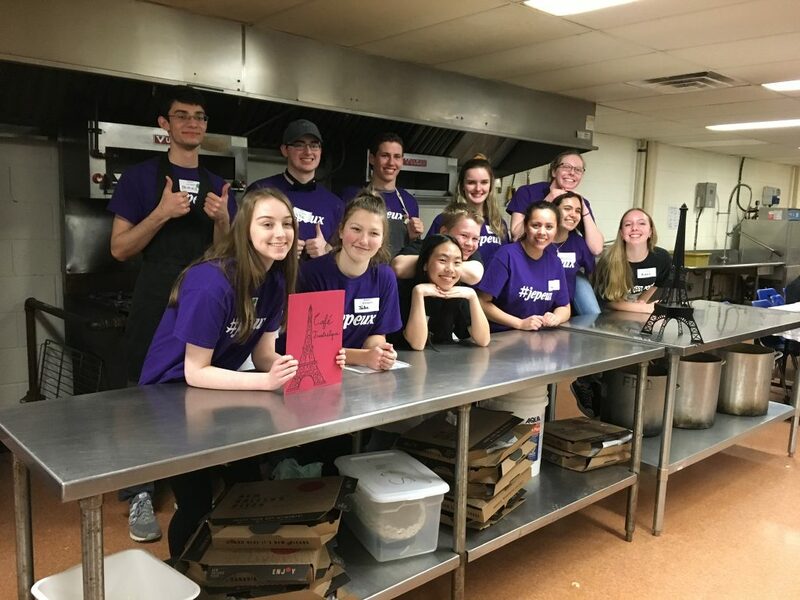 This year’s Franconnexion theme was “vouloir c’est pouvoir” – now in its second year, the event was organized by a small committee of teachers, chaired by John Black PS teachers Nia Pommier and Aleisha Korga. The schools in attendance were John Black PS, JD Hogarth PS, Centennial CVI, Laurelwoods ES, Grand Valley & District PS, Westside SS, CWDHS, and Aberfoyle PS. Franconnexion provides students with the opportunity to make connections with other students learning French in the UGDSB. They are exposed to possible pathways and learning experiences where they can continue to develop their language skills, and where knowing French would be a benefit.